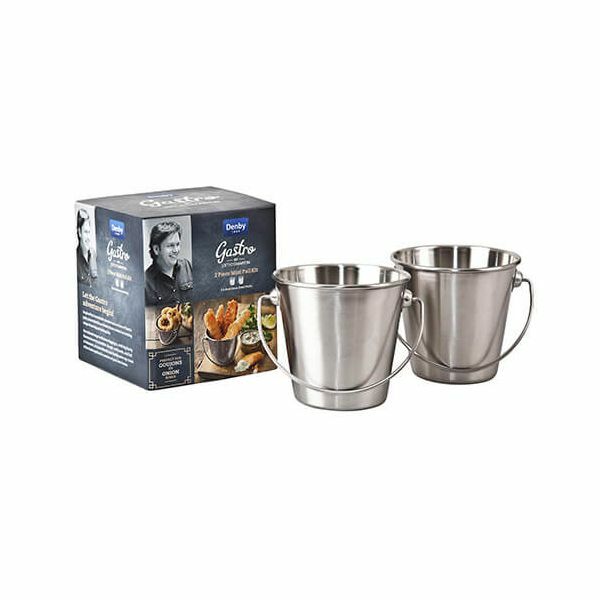 This pair of Mini Pails from Denby's Gastro by James Martin collection, are perfect for serving starters and sides. 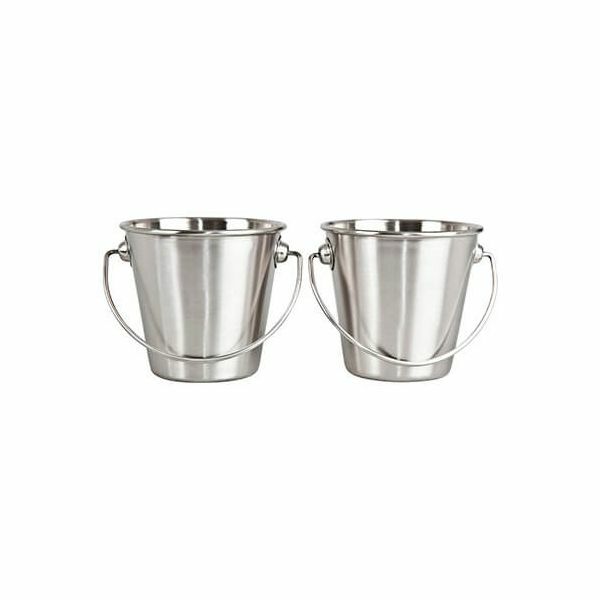 Made from high quality stainless steel, these Mini Pails measure 9cm x 8cm. 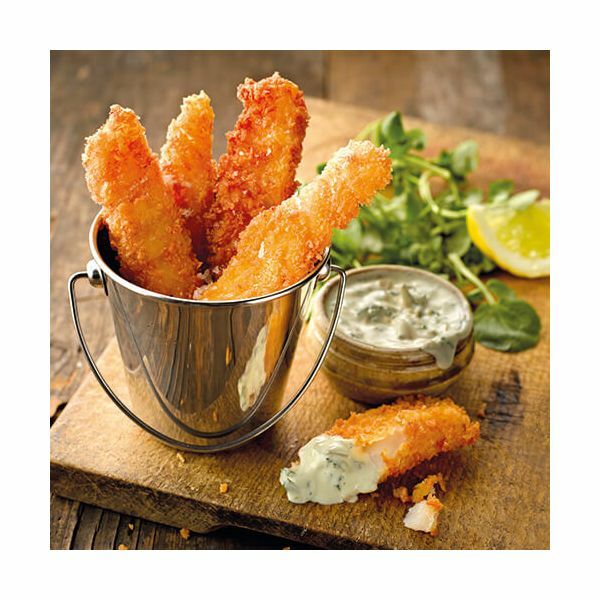 Not suitable for heating or cooking food with.